Hotel Focus SFO is located near many great attractions. The Bay Area has something for every type of traveler, whether you’re into sports, tech, marine life or just want to do a little shopping, we have it all. 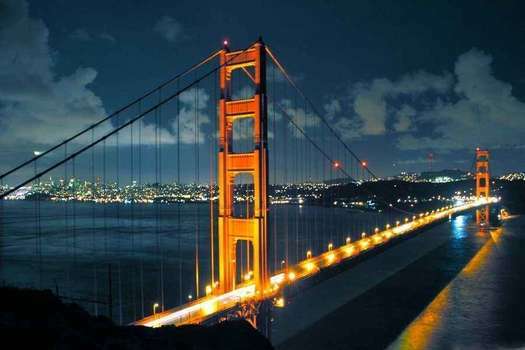 With popular attractions like Alcatraz, The Exploratorium, Fisherman’s Wharf, Union Square, Half Moon Bay, and of course The Golden Gate Bridge you are sure to find something to satisfy your curiosity. We are just minutes away from the San Francisco Airport (SFO) and offer a complimentary shuttle service to and from our hotel for all guests. Take the same shuttle to pick up or drop off a friend at SFO, to rent or return a car, or to the Bay Area Rapid Transit train. BART gives you access to south San Francisco local area attractions and downtown SF including AT&T Park, Moscone Center, Oracle Arena & Levi Stadium. Getting in and out of our hotel to your destination is a breeze so book a room today!